A Cleveland police bike patrol detains and checks the I.D. of a man near Settlers Landing during the RNC. Police presence was large, with 2,800 additional officers brought in from around the country to supplement the Cleveland Department. 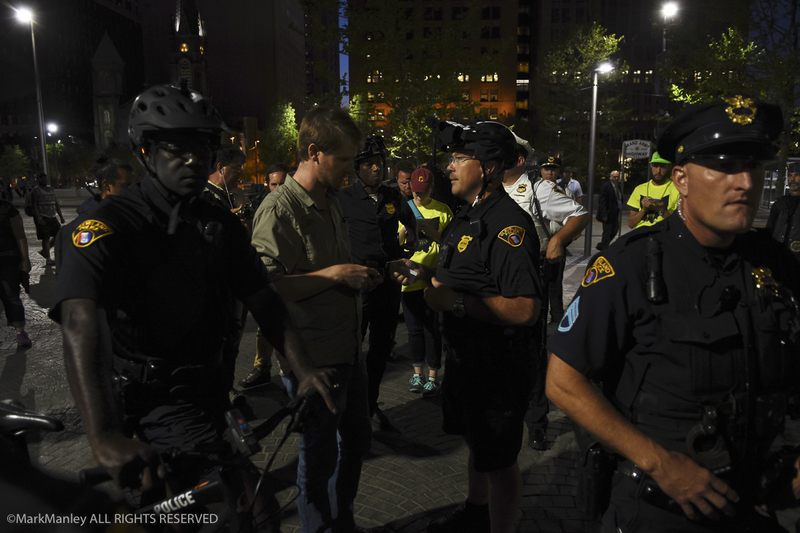 Despite the large numbers, Cleveland Police reported only 24 total arrests related to the RNC.